Spandeck Roll Forming Machine ( Spandeck Roll Former) is a customized machine for Indonesia customer. Which can produce spandecks with 0.30mm to 0.50mm. SPANDECK is made from high quality materials and processed with sophisticated machineries. And it is ideal to be used on residential projects, office buildings, factories, and so on. As roof covering material. What’s more, SPANDECK is very practical and economical as well as lightweight. And SPANDECK can also be used as wall, can be installed vertically or horizontally. It gives neat and minimalistic look. Believe Industry spandeck machine can be customized for different requirements. And we have different design of machines for different budget. Shaft: ASTM 1045, 75mm outter diameter, polishing. 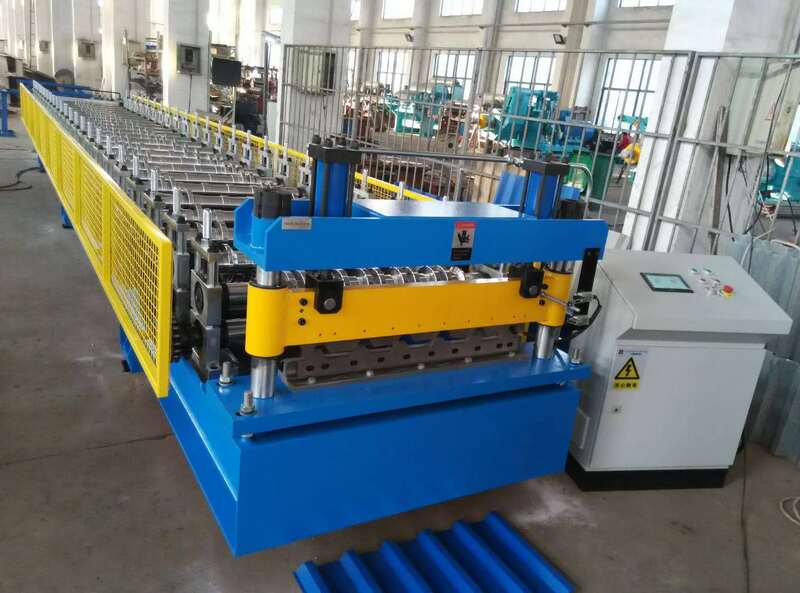 Spandeck roll forming machine is one kind of Metal Roofing Sheet Roll Forming Machine, you can check for more information.